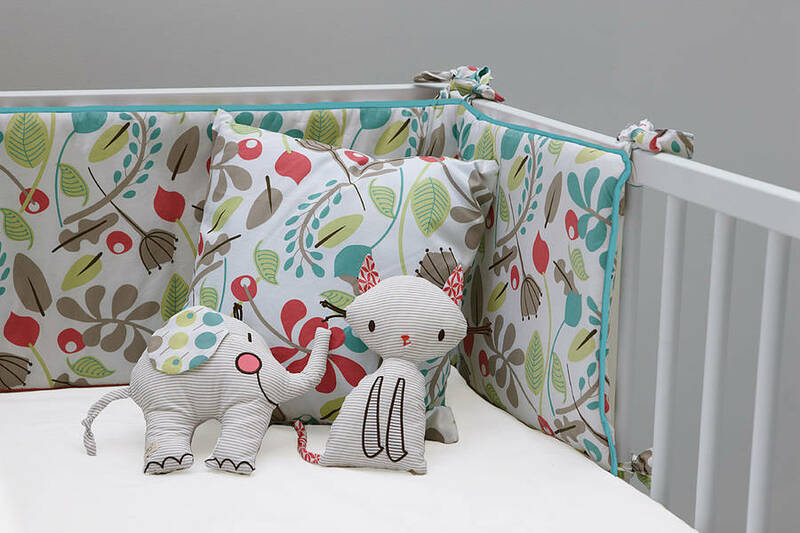 This fabulous cot bumper fits standard cots and cot beds. Made in the UK! 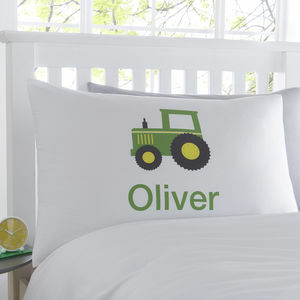 The lively colours and leafy print of the garden design bring a fresh outdoor tone to the nursery. It ties on to the cot frame and has a sea green binding around its edge. 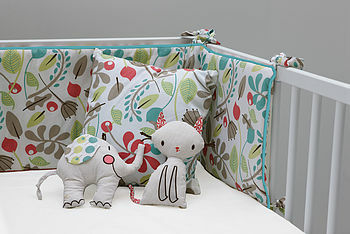 The set is a great foundation piece for a nursery and fits perfectly with the other nursery accessories of the range. The bumper set together with the quilt/playmat makes for a much appreciated present for any new parents.